A new way of appointing SCC justices? Process be damned…. On July 27, 2015, Prime Minister Stephen Harper named Mr. Justice Russell Brown of the Alberta Court of Appeal to the Supreme Court of Canada. Justice Brown has been a judge for two and a half years. I am not going to comment on whether Justice Brown is or is not a good appointment. His track record as a judge is too short to be able to honestly answer that question. Only time will tell. But I am going to comment on the process, or more properly speaking – the lack of process, that the Prime Minister is following. 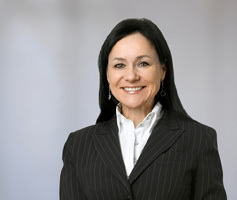 Prime Minister Harper announced late last week that his choice for replacing soon to retire Justice Louis LeBel was Suzanne Cote, a respected member of the Quebec bar and commercial litigator with the esteemed law firm of Osler, Hoskin & Harcourt. While his choice of judge cannot be faulted, the manner in which he is carrying out this nomination can be.